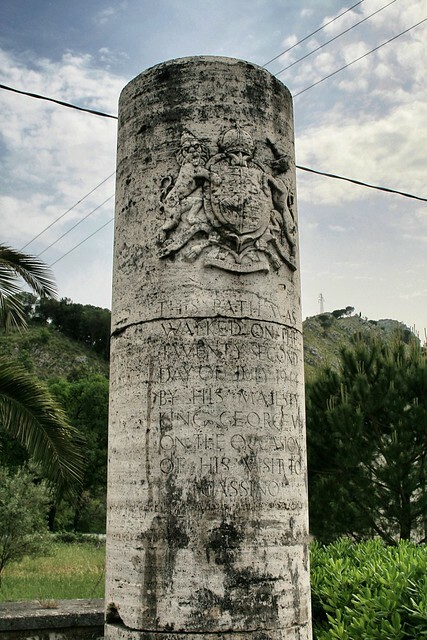 Tucked away and somewhat forgotten, just off the famous Route 6 west of Cassino, is a memorial column to King George VI. It commemorates his visit to the Italian battlefields and specifically Cassino in July 1944. King George liked to visit the areas where his troops had been fighting and meet the men, and as the Italian campaign by the summer of 1944 was moving to the North of Italy, it was deemed safe for him to make a tour. 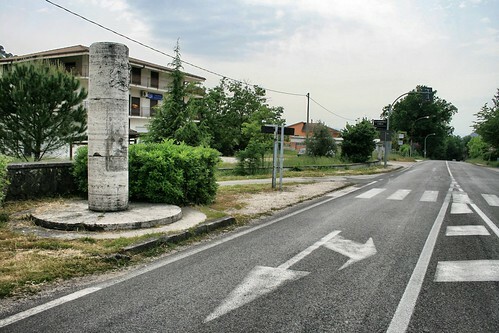 While the Battle of Cassino had ended two months before, the whole area around the town was still a wasteland of rubble and utter desolation. Route 6 was still a vital transport link from Naples, where all the supplies came in, and it is likely the King would have seen many troops during his visit here. The Memorial appears to date from the 1950s and is the only specifically British official monument on the battlefield, aside from the war cemetery. It remains in a fairly poor and dirty condition and it is uncertain who cares for it.